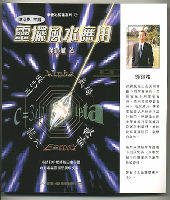 Please go to below Hong Kong ebook store to try read and order "Feng Shui Master Tsui" Chinese language version Feng Shui researching books. There are many Feng Shui books out there, and finding the ones that will provide you with the most information, such as the Master Tsui text, can be achieved through online research and the smart use of search engines and social networks to receive the most accurate and reliable recommendations. It is always worth reading several different texts on and particular topic, whether you are practising Feng Shui, choosing broadband packages from o2 or buying a new car. If you are planning on becoming a Feng Shui expert yourself, you must start by learning everything you possibly can, and one of the best sources of knowledge is Master Tsui's Feng Shui book, which will enlighten you to many new aspects of Feng Shui.